Taught by leading faculty and researchers from Michigan Engineering, these online courses explore current and emerging technologies and trends including hybrid and electric vehicles, connected and automated vehicles, and advanced and smart manufacturing. Stay current with modern technology, and prepare yourself and your company for technological leadership. Take courses à la carte to deepen your knowledge through the self-paced convenience of online learning, and complete any four courses to demonstrate your knowledge with a University of Michigan Certificate in Current and Emerging Technologies. Start anytime, study anywhere, and set your own pace. Complete 1, 2, 3, 4 courses or more based on your interest. Take courses à la carte, or successfully take any 4 courses to earn the certificate. Each course contains 4-6 hours of online instruction divided into shorter modules to make it easy to learn at your own pace. You will have 180 days from your course start date to complete the course(s). Upon successful completion of 4 courses, you will receive a U-M Certificate in Current and Emerging Technologies. Successful completion requires you get an 80% passing grade on all four of the course tests. Select 4 courses from one concentration to deepen your knowledge in a subject area, or select any 4 that are most interesting or relevant for you. If you choose a specialization, your certificate will note the specialization you completed. Put new knowledge from the top-ranked U-M College of Engineering into practice. Demonstrate your knowledge after successfully completing four courses. Ask questions, make connections, and build knowledge with U-M faculty and researchers. Choose when and where to complete the course through the convenience of online learning. Gain advanced knowledge in the design, analysis, and development of hybrid and electric vehicles with these four courses. Advance your understanding of new advanced manufacturing technologies and trends with these four courses. 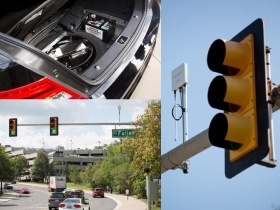 Gain access to cutting-edge research and trends on connected and automated vehicles. More courses coming in 2019. CCET faculty combine practical experience with breakthrough research to offer these courses to industry professionals. Nexus at Michigan Engineering offers innovative interdisciplinary continuing education for engineers. Programs are available on campus, online, and on location.